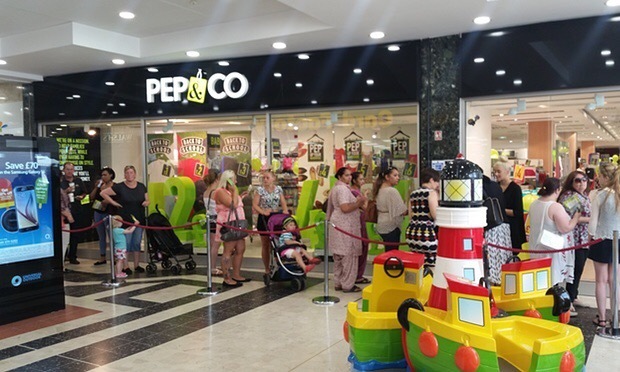 Pep & Co, the new value fashion retailer by ex-Asda boss Andy Bond opened its first store in Kettering yesterday. Nearly 10 years ago Bond created Asda’s fashion line George and according to him, there is still room in the market for another player. He’s aiming to appeal to yummy mummies with mainstream clothes, and will also stock childrenswear and some homeware. Yesterday’s new store opening attracted a queue of around 100, mostly young mothers accompanied by prams no less. Bond is embarking on an aggressive store opening programme, which will see an additional 50 stores pop up by the end of August. Posted on July 2, 2015, in #retail, #southafrica, #uk. Bookmark the permalink. Leave a comment.